MAESTRO! We’re bringing the format back again! 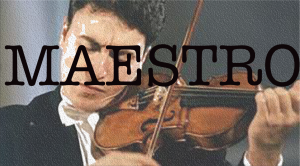 Join us tonight for the format everyone is loving … Maestro. It’s the “survivor” version of Theatresports. There can be ONLY ONE. Directed by Gary Pearson, hosted by Amy Mckenzie and starring Christine Pillman, Carolyn Endacott, Lynnae Dudley, Carrie Thomas and MORE! Music Room #1 at QEPCCC. $5/person or free with entrance to the 7pm drop in.